Rigid Foam Insulation, Dr. Energy Saver Seacoast by D.F. Richard Energy can improve the comfort of your home! Tru-Soft cellulose insulation is made from recycled newspaper treated to resist combustion, insects and mold. 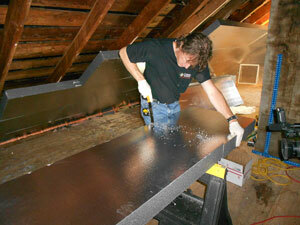 It's often blown into attics as an insulation upgrade, but it can also be blown into wall and floor cavities. 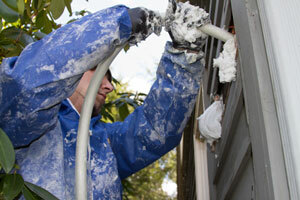 Home insulation in Rochester and throughout The Seacoast slows the flow of heat to save you and your family some money. 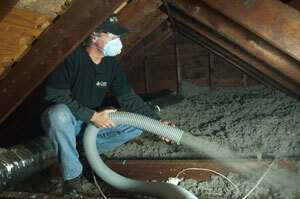 As a full-service insulation contractor, Dr. Energy Saver Seacoast by D.F. Richard Energy provides expert home insulation services to improve areas such as walls, crawl spaces, basements, and garages in Rochester, Dover, Durham, Hampton, Portsmouth, Hampstead, Stratham, Sanford, Concord, York. Dr. Energy Saver Seacoast by D.F. Richard Energy proudly services the areas of Rochester, Dover, Durham and nearby. If you are interested in upgrading your existing insulation or would like new insulation installed, call us today at 1-855-682-8353 for a free in-home estimate!